Born in Wisconsin and raised in Alaska, Olin received a degree in architecture from the University of Washington in 1961. He practiced in Seattle and New York before traveling to England on a John Simon Guggenheim Fellowship in 1972-1973 and to Rome as a Fellow in Landscape Architecture at the American Academy in Rome in 1974-1976. Teaching has been integral to Olin’s career. Since 1967 he has taught in the landscape architecture department at the University of Pennsylvania, and also served as chairman of the landscape program at Harvard’s Graduate School of Design from 1982-1987. In 1976 Olin and Bob Hanna formed the firm Hanna/Olin. 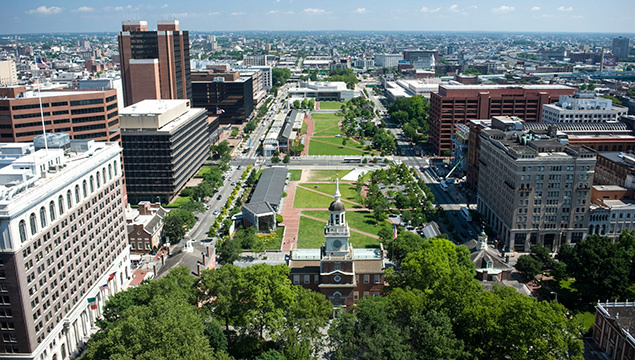 The Philadelphia practice was instrumental in creating or restoring urban landscapes which transformed how people experience city life. They practiced together until 1996, when Olin and senior staff members formed the Olin Partnership. In 2008 the firm rebranded themselves as OLIN. 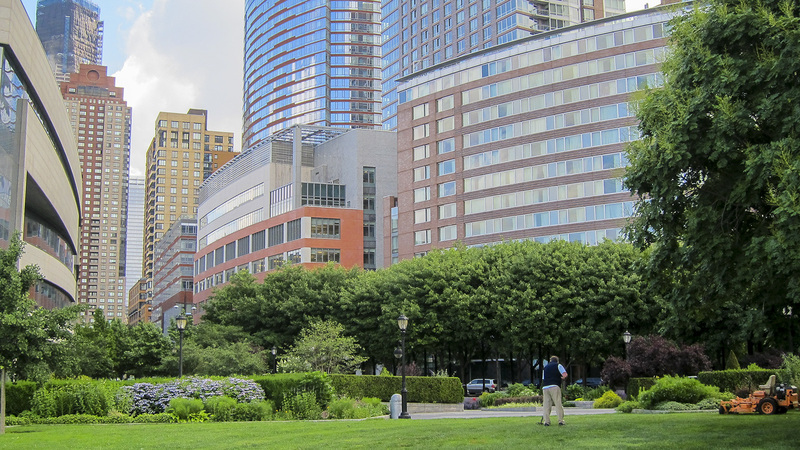 Among Olin’s many landmark projects are: Battery Park City, Bryant Park, and Columbus Circle, New York; the Barnes Foundation and Rodin Museum, Philadelphia; and the National Gallery of Art Sculpture Garden and Washington Monument grounds, Washington D.C. Interested in broadening the profession of landscape architecture and contributing to a dialogue with other professions, Olin is a frequent lecturer and has authored or co-authored nine books to date. His drawings and paintings have been in museums and galleries both in the U.S. and abroad. A 1999 Fellow of the American Society of Landscape Architects, he is the recipient of numerous awards including in 2013 the National Medal of the Arts and Thomas Jefferson Foundation Medal in Architecture. Laurie D. Olin was born in Marshfield, Wisconsin and raised in Fairbanks, Alaska, where his father worked for the Army Corps of Engineers. He studied civil engineering at University of Alaska and received a B.Arch. from the University of Washington in 1961. In his lectures and writings, Olin often identifies specific faculty members for having influenced his artistic and professional career, including Richard Haag at the University of Washington, who founded the school’s Landscape Architecture department; the poet Theodore Roethke; and Victor Steinbrueck, leader of the preservation campaign for Pike Place Market in Seattle, who taught Olin about the political nature of public space. After graduation Olin worked for Seattle architect Fred Bassetti from 1962-1964 and Edward Larrabee Barnes in New York from 1964 -1967. 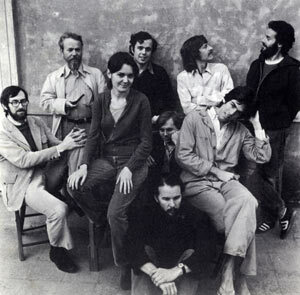 Olin (pictured left) with fellows and residents at the American Academy in Rome in 1974 - courtesy of Laurie Olin. A curiosity beyond architecture and a desire to learn more led him to explore the world through travel and his art. 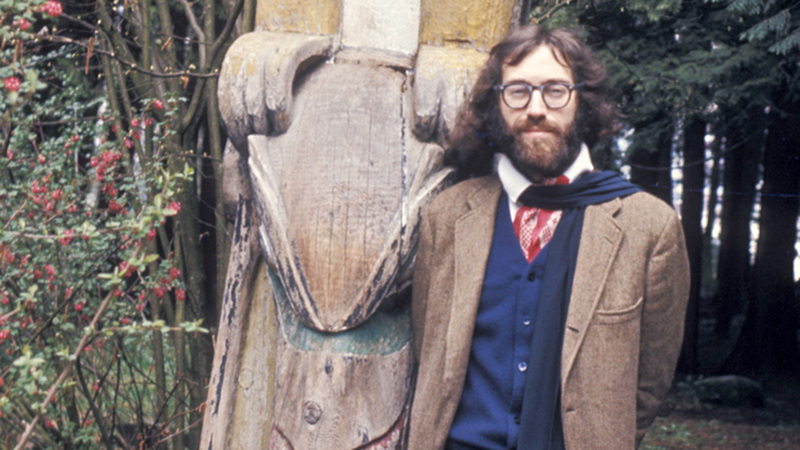 A John Simon Guggenheim Fellowship from 1972 to 1973 enabled him to study English landscapes, and a Fellowship in Landscape Architecture at the American Academy in Rome gave Olin the opportunity to travel throughout Italy in 1974-1976. Investigations and lessons learned from these years abroad redirected his professional and personal life. Olin’s gradual approach to the profession of landscape architecture is recounted in his book, Across the Open Fields. Teaching long has been an integral part of Olin’s career; he began in the landscape architecture department at the University of Washington with Rich Haag in 1970-1972. In 1976, at the invitation of Dean Sir Peter Shepheard, Olin joined Bob Hanna in the landscape architecture department at the University of Pennsylvania. It was at this time that fellow landscape architect and Professor Ian McHarg’s ecological planning and overlay method of design was redefining practice and teaching. Over the years, Olin endorsed a field study method that, in addition to ecology, drew from ethnography, geography and history. 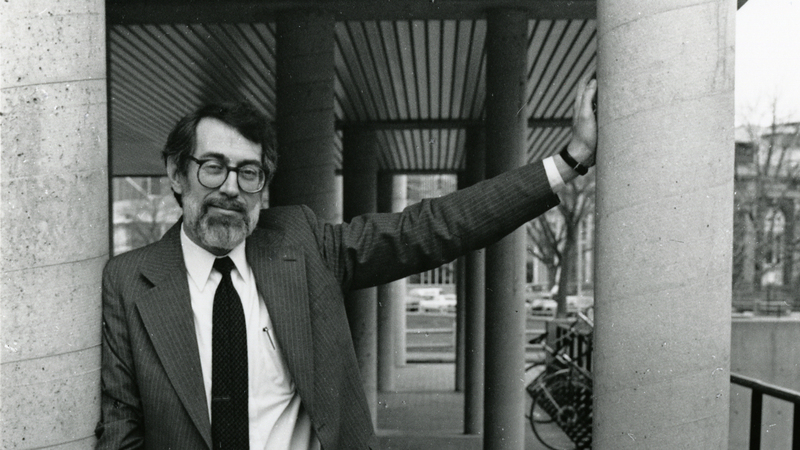 In 1976 Laurie Olin and fellow faculty member Bob Hanna established the firm Hanna/Olin in Philadelphia. Their goal was to create an atelier environment for comprehensive landscape design. Their first project was a pastoral office park for the Johnson & Johnson Baby Products Corporate Center with I.M. Pei & Partners near Princeton, New Jersey. 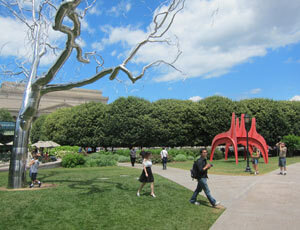 This was followed by a series of projects that reshaped public spaces both in the U.S. and abroad. These projects include: the Landscape Development Plan for the University of Pennsylvania, Philadelphia (1977); Battery Park City, New York (1980-1985); the 16th Street Transitway Mall, Denver (1981-1985); Bryant Park, New York (1986-1991); and Canary Wharf, (1985-2000) and Bishopsgate, (1985-86,) in London, England. 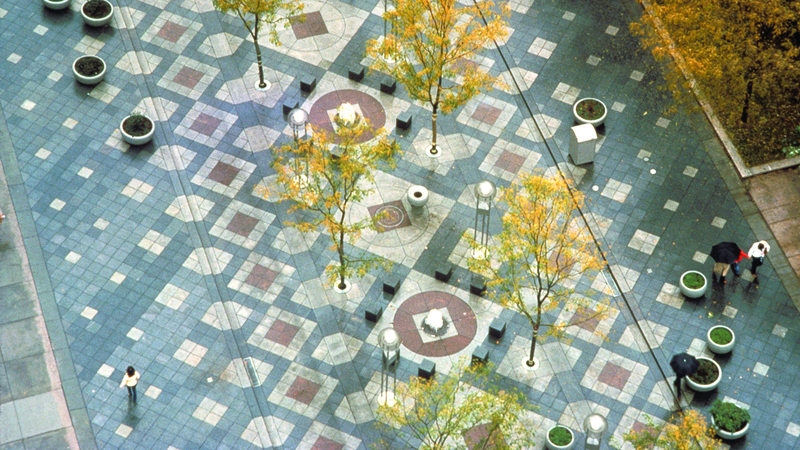 In addition to his practice, from 1982-1987 Olin was the chairman of the landscape architecture program at the Harvard University Graduate School of Design. Among his many innovations to the program, Olin created collaborative studios with the architecture department. When he returned to Philadelphia he returned to teaching at Penn; from 1998 to the present he has served there as practice professor of landscape architecture. In 1996, the firm of Hanna /Olin dissolved and Olin established the Olin Partnership with Lucinda Sanders, Susan Weiler, and Dennis McGlade. They were joined later by Robert J. Bedell and David A. Rubin and the firm’s name was changed to OLIN (with offices in Philadelphia and Los Angeles). 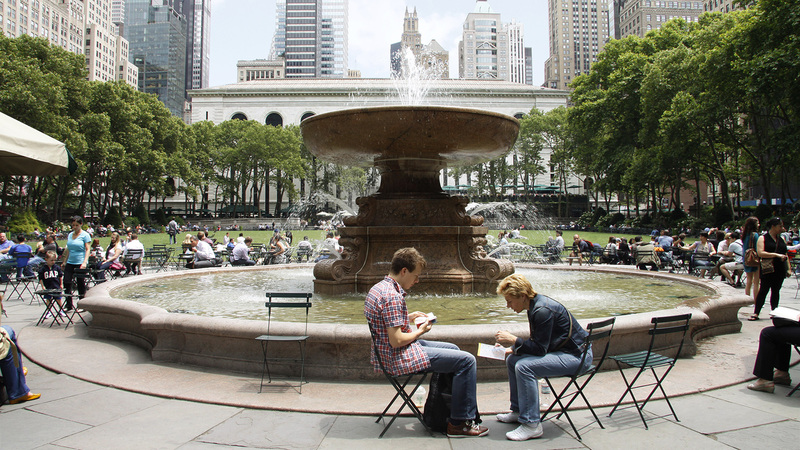 Olin’s design career includes parks, squares, gardens, residences, academic and corporate design, urban design, comprehensive planning and museums around the world. His success and distinguished stature derives from his works’ exemplary revitalization of urban public space, graceful interventions in sites of historic significance and long-term strategies for environmentally and socially sensitive design. 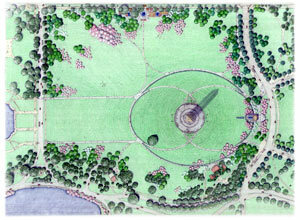 Olin and his firm have designed many notable projects, among them: Columbus Circle, New York (2001-2005) and in Philadelphia a wide range of work including Independence Mall within the Independence National Historical Park (1997-2008); the Benjamin Franklin Parkway and Logan Square (2004-2007); Rodin Museum (2004-ongoing); Barnes Foundation (2010-2013); and Waterworks Park (2008-ongoing). 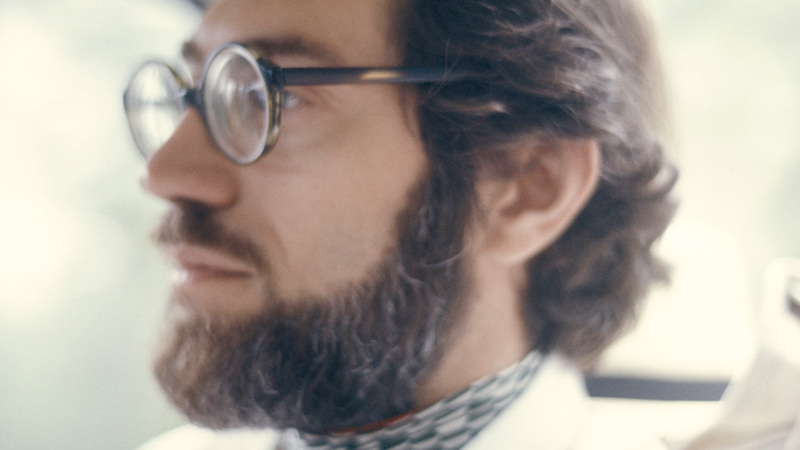 Campus design has been a mainstay of his practice, including various projects for the University of Pennsylvania and Temple University and projects at Yale, Stanford, MIT, University of Virginia, the American Academy in Rome, Cornell and the University of California, San Francisco, Mission Bay. 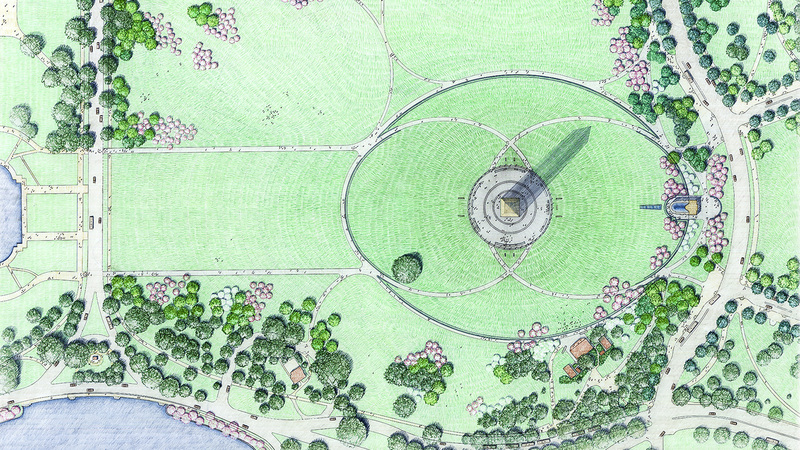 In Washington, D.C. he created an outdoor sculpture garden for the National Gallery of Art, (1993-1999) and a post-9/11 redesign of the Washington Monument grounds (2001-2005). 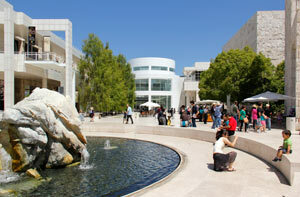 Olin frequently acknowledges key collaborations with architects and landscape architects throughout his career, including working with Dan Kiley on the J. Paul Getty Center, Los Angeles (1994-1997). International projects are best represented by the 2010 competition for the U.S. Embassy in London with architects KieranTimberlake, and in Berlin, Germany the Memorial to the Murdered Jews of Europe, (1998-2005) with architect Peter Eisenman, one of many projects these designers did together. While continuing to practice, Olin serves on juries and advisory committees for landscape design and regional planning and is a much sought-after lecturer internationally. Olin continues to teach beyond his tenure at the University of Pennsylvania. In 1992 he was Thomas Jefferson Visiting Professor of Architecture at the University of Virginia. In 2002 the University of Texas at Austin appointed him Ruth Carter Stevenson Chair in Landscape Architecture, during which time he helped establish a Master of Landscape Architecture program. In 2002 Tsinghua University in Beijing, China, invited Olin to be the first dean of its department of landscape architecture. Over a period of three years he chaired an international committee of landscape architects who helped formulate a graduate program in landscape architecture there. In addition to design, Laurie Olin is a passionate draftsman. He lectures and publishes on the value of drawing as a means of doing research, thinking and communicating. His watercolors and drawings have been exhibited and collected in major museums both in the U.S. and abroad. For almost fifty years Olin has supplemented his design, art and teaching by publishing books and articles on the history of landscape design, drawing, and theory and design in his own practice. 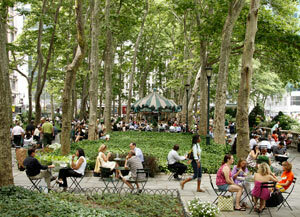 He won the 1991 Bradford Medal for best writing in Landscape Architecture. In addition to the numerous articles he has written, he co-authored nine books beginning with Breath on the Mirror: Seattle's Skid Road Community, (1973). 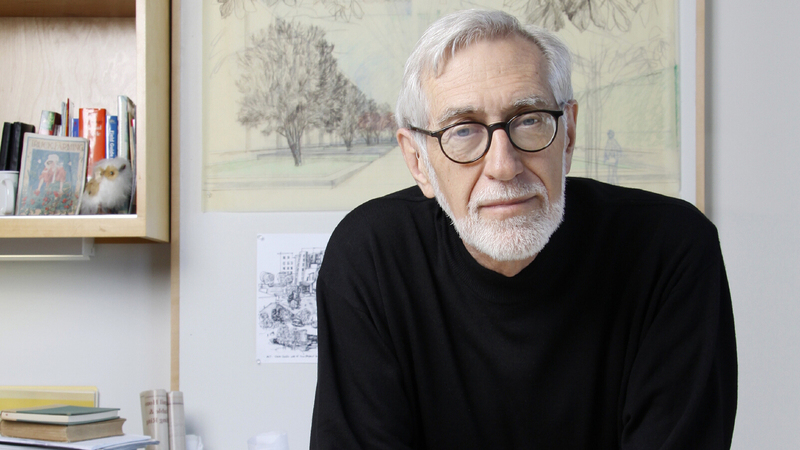 Throughout his career, Laurie Olin has received many awards, honors and prizes, including: 1998, the American Academy of Arts and Letters Award; 2010 Bybee Prize from the Building Institute; 2011 the American Society of Landscape Architects (ASLA) Medal, the Society’s highest award for a landscape architect (Olin is also an ASLA Fellow and his projects have received numerous ASLA awards since the 1980s). 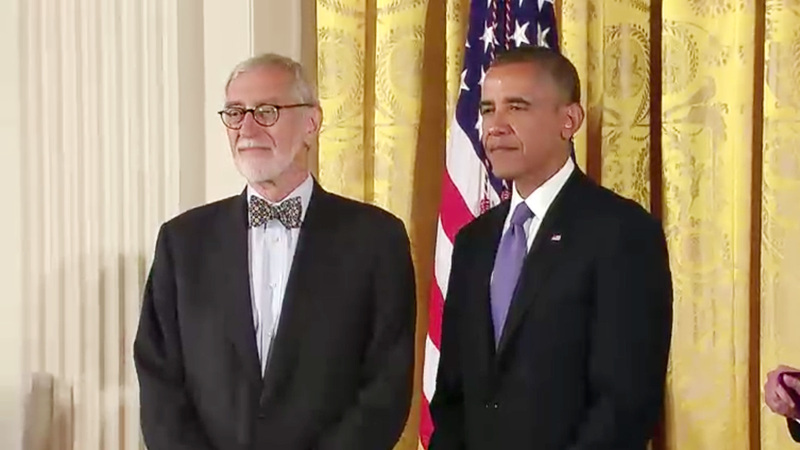 In 2013 President Barack Obama bestowed on Olin the 2012 National Medal of Arts, praising him for "his acute sense of harmony and balance between nature and design." In 2013 the Thomas Jefferson Foundation and the University of Virginia School of Architecture jointly granted him the Thomas Jefferson Foundation Medal in Architecture. Olin, Laurie. Transforming the Common Place: Selections from Laurie Olin’s Sketchbooks. Cambridge: Harvard Graduate School of Design: Princeton: Architectural Press, 1996. Olin, Laurie. 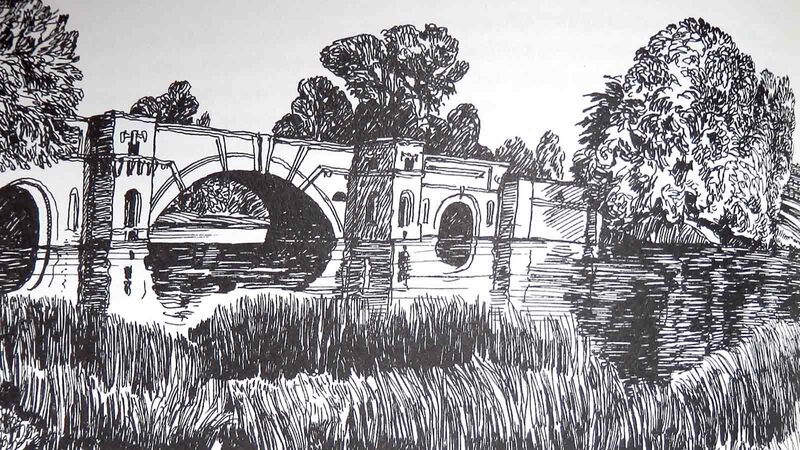 Across the Open Field: Essays Drawn from English Landscapes. 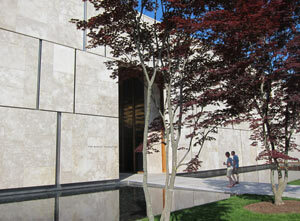 Philadelphia: Penn Studies Series in Landscape Architecture, University of Pennsylvania Press, 2000. Olin, Laurie, Dennis C. McGlade, Robert J. Bedell, Lucinda R. Sanders, Susan K. Weiler, David A. Rubin. Olin: Placemaking. New York: Monacelli Press, 2008.